From Goodreads: Around the world, black handprints are appearing on doorways, scorched there by winged strangers who have crept through a slit in the sky. In a dark and dusty shop, a devil’s supply of human teeth grown dangerously low. And in the tangled lanes of Prague, a young art student is about to be caught up in a brutal otherwordly war. Meet Karou. She fills her sketchbooks with monsters that may or may not be real; she’s prone to disappearing on mysterious “errands”; she speaks many languages–not all of them human; and her bright blue hair actually grows out of her head that color. Who is she? That is the question that haunts her, and she’s about to find out. When one of the strangers–beautiful, haunted Akiva–fixes his fire-colored eyes on her in an alley in Marrakesh, the result is blood and starlight, secrets unveiled, and a star-crossed love whose roots drink deep of a violent past. But will Karou live to regret learning the truth about herself? So. I’m sort of at a loss as to what to say about Daughter of Smoke and Bone. Simply, I loved it. A few weeks ago I blogged about the Elusive Perfect Novel. 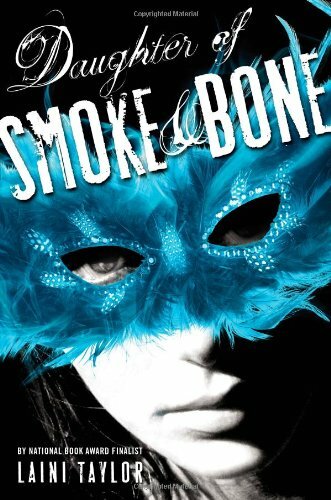 Smoke and Bone is a combination of everything I included on the list of qualities MY perfect book must possess, plus an unidentifiable and unmatched sort of magic that’s hard to put into words. Very few books seduce me and capture me entirely, then gut me and leave me desperate for more. Daughter of Smoke and Bone did. In a Twitter conversation with Tracey and Jaime Morrow last week, shortly after I’d finished reading, I tweeted this profound nugget: I’m trying to figure out how to write a coherent review. Can I just say: ENVIABLY BRILLIANT and call it a day? Because that pretty much covers it. And when I say “enviably brilliant,” I mean in a literal sense. I want to utilize language as beautifully (and seemingly effortlessly) as Laini Taylor does. I want to build a world as unique and dreamy and terrifying. I want to craft a plot that enraptures readers as Smoke and Bone enraptured me. I should point out that if I had picked up Smoke and Bone in a bookstore and read the cover blurb, I probably would have put it back down. Fantasy, in general, is not my thing. Luckily, though, I’ve got my brilliant book friends and the YA community to fall back on for recommendations, and I knew better than to pass this one up based on genre alone. Even if you’re someone who’s resistant to fantasy (like me! ), I suspect you’ll love Smoke and Bone. The fantastical elements, while certainly strong, are expertly executed and, for the most part, grounded in reality. They’re stated so clearly–of course there are otherworldly portals spread around Earth’s greatest cities; of course wishes come in denominations and at a price–you can’t help but jump feet first into the world Laini Taylor has created. Let’s discuss main character, Karou… Words I’d use to describe our heroine: Fun, feisty, loyal, artistic, courageous, autonomous, lithe, talented and at times, funny. She’s everything I want out of a (female) protagonist, and additionally, everything I want in a friend. Plus, hello, her hair is azure. How cool! But poor Karou… as outwardly perfect as she may seem, she’s battling some major… um, demons. Her past is riddled with secrets and there’s just something missing from her life. I felt deeply for Karou, because her confusion and her pain felt genuine, just as genuine as she felt, and I was rooting for her up until the final page. 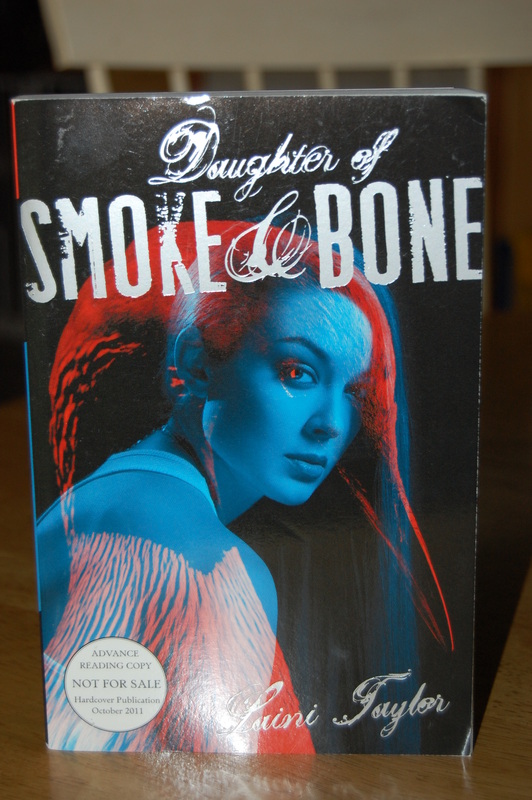 It’s hard to discuss the plot of Daughter of Smoke and Bone without giving its secrets away. I’m not going to go too far into the heart of the story, but I will say that there’s an element of “soulmate-ishness” at work. Usually, soulmate-ishness (yes, that’s totally a word) is cause for eye-rolling on my part. It often feels too easy, like a cop-out some authors use to get right into a romance without putting in the time and necessary back story. That was NOT the case here. The soulmate-ishness in Smoke and Bone made absolute sense, was explained thoroughly, and was necessary to the plot. It also raised the stakes considerably. The forbidden love, the impossible decisions, irrevocable actions, they made my heart hurt in the very best of ways. While I’ve alluded to the awesomeness of Laini Taylor’s prose, I feel it warrants greater commentary. Smoke and Bone is told in third person, which is not my preferred POV. Here it works perfectly, though, giving enough distance to truly share the novel’s vast world, yet lending a sense of intimacy that lets us really know Karou. And the writing is just SO gorgeous; after the first few pages, I didn’t even notice the POV. The language is clever, thought-provoking, visceral, and full of voice–beautiful, but never, ever showy. I found myself reading sentences over and over, first to savor them, then to analyze what it was that I loved so much about their construction. I’ve heard a lot of people say that they “flew through” Daughter of Smoke and Bone. I did not. I spent a week with it, and purposely. I read slowly, enjoying every word, every twist, every revelation. And oh, the revelations are SO worth the ride. I read the last quarter of this book with my jaw on the floor, my heart literally pounding. So… if you’ve yet to pick up Daughter of Smoke and Bone, I highly, HIGHLY recommend you do. It’s among the best books I’ve read. Ever. Though I bought the hard copy of Smoke and Bone (with the blue mask, pictured above) I was lucky enough to win this ARC from Kiersten White. Isn’t the cover image lovely? And–holy crap!–it’s signed! This ARC might just be one of the rare material possessions I’d save in a house fire. So… have you read The Daughter of Smoke and Bone? Were you as enchanted as I was? And don’t forget to drop by Tracey’s blog for links to today’s other Smoke and Bone posts! Ha! I just read yours, Jaime, and it’s excellent. 🙂 So glad you loved this book! I haven’t read it yet, but this review makes me want to! Thanks for the suggestion. I’m always looking for good new books. I hope you check it out, Kirsten! Obviously I loved it, so I’ll be curious to know what you think if you give it a go. Let me know! Fantasy is usually not my preferred genre but I loved this book. What beautiful language, indeed! I just read your post, Rebecca, and can I just say: I’m in total agreement on all your points. Such a gorgeous book. Now I just need the next installment! I don’t *love* the ARC cover (I’m partial to the UK one, for once), but holy moley, signed and with a cute note? Jealous! Great review, Katy! I would kill to be able to craft words like Laini! And I completely agree — the instalove was entirely convincing. I sometimes find myself rolling my eyes at similar soulmate-ishness (I used your word) couples, but with the way Laini wrote this pair, I was sold. ❤ this book! I keep trying to figure out what EXACTLY it was about the soulmate-ishness that worked here, but I still can’t quite put my finger on it. Regardless, I was sold. Loved it! I literally JUST got this in the mail yesterday and I’m sooooooo excited to read it! Great post – and a signed ARC to boot?? So cool, Katy! I believed the soulmate-ishness in the Karou/Akiva story, mainly because there was a genuine fear associated with it too. Like they wanted to fall in love but didn’t know if they could or should. I found the Madrigal/Akiva instalove harder to believe. There were so many reasons why they shouldn’t have trusted each other. So the fast pace of their relationship was harder for me to believe. Still this was a great book, and I’ve got to agree. Laini can write! Her word choices blew my mind. I know! The gorgeous writing is what bumped this book (for me) from fantastic to absolutely and utterly amazing. And I see what you mean about possible trust issues between Madrigal and Akiva. I think what sold me was the fact that she saved him when she didn’t have to. That immediately gave him reason to trust her. And that fact that he came back for her after so much time might have given her reason to trust him… Interesting to analyze! Wonderful review. I feel the same exact way. I totally slowed down my normal reading pace to savor the sentences she crafted. When I finished I wanted to go back and start all over again. Oh, and that other cover! I like it but I think I like the mask one better, only because I think the second one is a little too hint hint. Did you feel that way before you read it? Or was the twist a surprise to you? And YES! I wanted to start all over when I finished too. 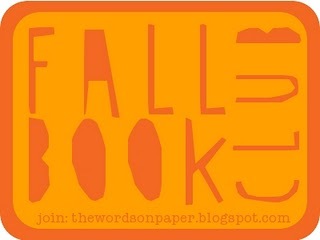 Too bad a have a zillion other books to get through! Great review! We agreed on lots of points. The POV is a point of Taylor’s compounded brilliance; not only does she write prose like poetry, she switches between characters in third person POV flawlessly. I don’t mind third person on the whole, but it really bugs me when an author uses it just to throw in a minor character’s thoughts because it’s convenient. I totally agree… I think the reason I’m not normally fan of 3rd person is that it’s so difficult to pull off. When it’s done right though…wow! Laini Taylor definitely succeeded in that area. You’re right: the prose is beautiful and so smooth! Definitely wait until you’re done with NaNo. SMOKE AND BONE gave me an I’ll-never-be-good-enough complex, plus, it was just about all I could think about during the week I read it. And good luck with your NaNo novel! I loved this book so much. I pretty much drooled in a puddle all of Laini Taylor at her signing last night. Uh…that wasn’t last night. That was Wednesday. Ugh, this week. I swear. Ha! You crack me up, Jess! I’d love to see Laini Taylor speak… I imagine she’d be very inspirational. Love. And I agree – this is one of the rare books where I could buy into the InstaLove and I did love the beautiful writing and the setting and the characters. I just wish I could have connected with the story more. And I would say maybe I just need to read it again, but those last 100 pages would still stand in my way of total love. But I enjoyed it enough to want to know more. So I’ll definitely read the sequel. It seems like everyone who had a complaint about this book referenced the last 100 pages. Funny how we all reacted differently to the back story. I loved it, obviously, and thought it was a major payoff, but you’re definitely not the first to mention being a little frustrated by it. I’m glad you still liked the story overall, though, and I’m definitely DYING for the sequel! “seduce and gut” Yes! I couldn’t agree more. I thought this was brilliantly written and so original and thought-provoking. Yay! 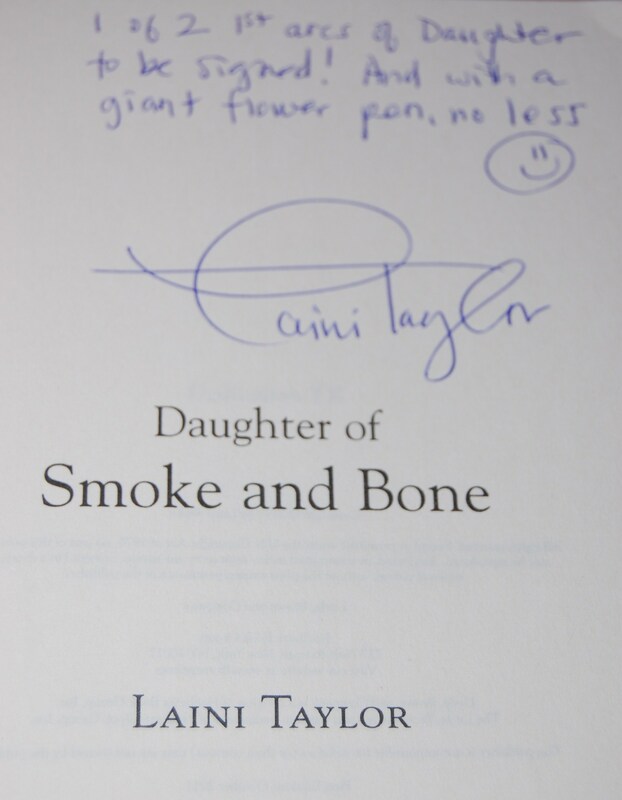 So glad you loved SMOKE AND BONE as well, Tricia. I’m SO looking forward to the sequel!